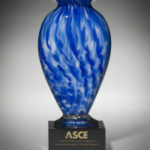 ASCE has determined the winners of a number of its awards for 2014. As of March 1, the following outstanding civil engineers have been named. 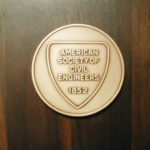 Refaat Abid Abdel-Malek, Ph.D., P.E., F.ASCE, is the recipient of the Rickey Medal; Imad L. Al-Qadi, Ph.D., P.E., Dist.M.ASCE, is the recipient of the Francis C. Turner Award; Charles J. Hookham, P.E., M.ASCE, is the recipient of the Stephen D. Bechtel Jr. Energy Award; Kara Kockelman, Ph.D., P.E., M.ASCE, is the recipient of the James Laurie Prize; Samuel Labi, Ph.D., A.M.ASCE, is the recipient of the Frank M. Masters Transportation Engineering Award; Herbert A. Mang, Ph.D., F.ASCE, is the recipient of the Nathan M. Newmark Medal;Jonathan M. Nelson, Ph.D., M.ASCE, is the recipient of the Hans Albert Einstein Award; and Joannes J. A. Westerink, Ph.D., M.ASCE, is the recipient of the Orville T. Magoon Sustainable Coasts Award.